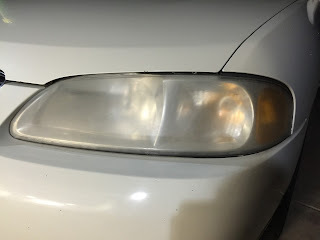 Do you have dirty car headlights? Do you know how to clean them? I didn't, but I had seen a bunch of ideas online that I wasn't sure I wanted to try out because they all seemed either too good to be true or too involved. I had confined myself to just waiting until they had to be replaced. I mean, I could still see when driving, right? Well, I decided I'd try one of the methods I saw online that involved spraying some OFF! Deep Woods Sportsman spray and then wiping it off. It seemed too easy but I tried it anyway. How did it turn out? You be the judge. Below are two photos, one before and the other after the spray. Are you as shocked as I was? I was astonished that it worked so well. Why had I waited so long to clean these awful headlights? Why did I finally decide to try something here when I had waited and waited for months? Simple, I was told by someone I actually knew in real life about the trick. I knew this person and trusted them. 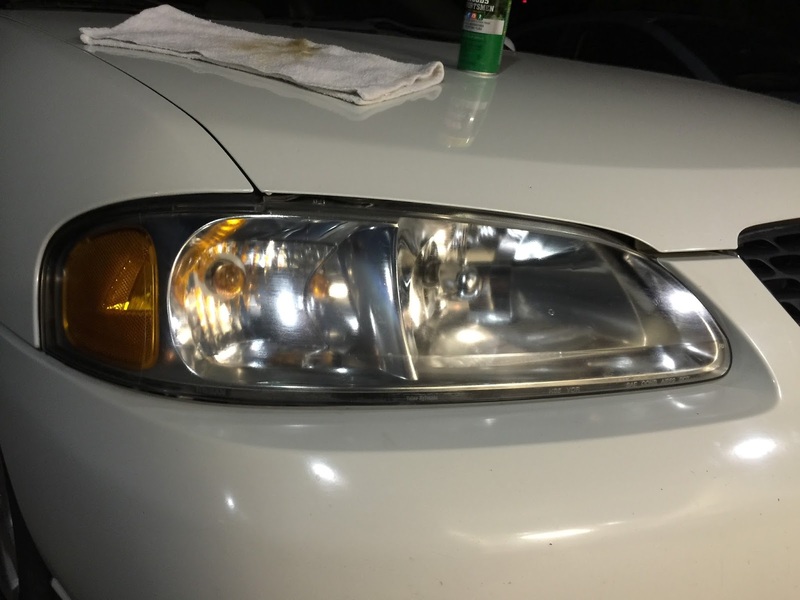 I was able to see an actual example of what it looked like after they had done it to their car. I was told that it worked great, but that it wasn't the end-all-be-all and that I'd have to do it again later on. I made the choice to actually try it because I was recommended it by someone trusted. How often are we told ideas for how to be successful in the classroom that we just brush off as "whatever" because we don't actually believe that it's possible How often do we have people come into our schools and tell us we should do this or that and that it's totally possible but yet we sit back and think there's no way? They don't know what they're saying because of this or that? And yet, what happens if we see something cool from a trusted friend? We are much more likely to try it out or at least think about it because the recommendation is coming from an actual person we know. As fun as it is to read about other people's ideas online via blogs or social media, don't forget to occasionally walk around your own school and see what the people down the hall are doing. You may just surprise yourself to learn how much cool stuff is happening within walking distance that may not seem so unrealistic. You may not find the silver bullet you're looking for, but you may find something even better, an actual working idea to help you do one thing better in your classroom.